Sunday April 28th will be our third installment of Sunset Sessions at Eberly's Rooftop. This is our second to last show of the season, so get your tickets early! Laurie Gallardo of KUTX will be our spectacular host for the evening. 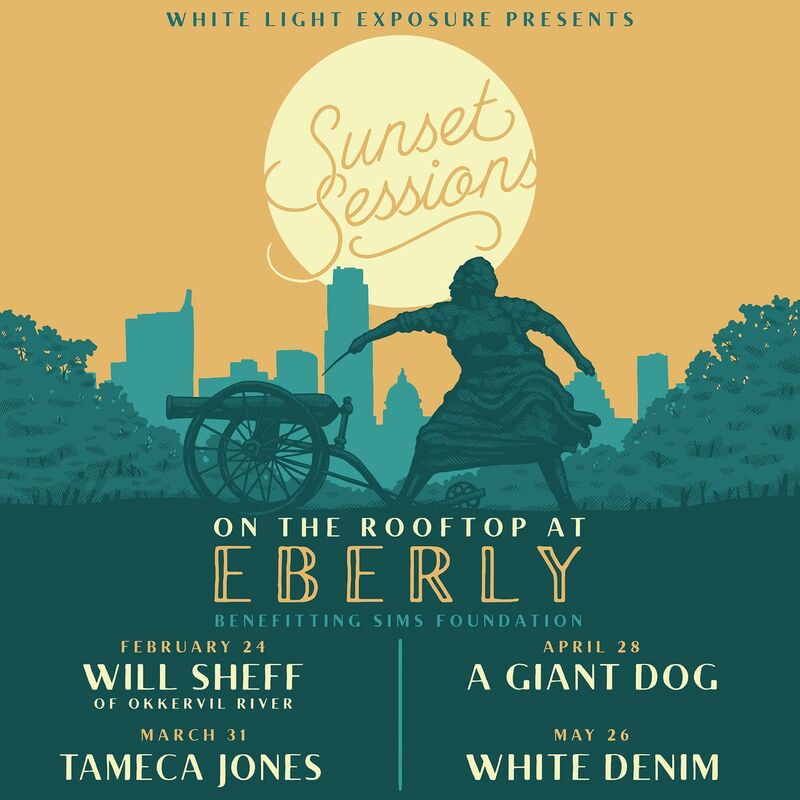 Join us for an up-close and personal experience with A Giant Dog and Go Fever on the Rooftop at Eberly as the sun sets over Austin. At Eberly, we offer complimentary valet services. If you would like to leave our valet professionals a tip for their service, they accept both cash and card (via square reader).